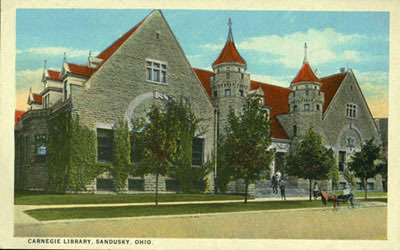 This advertisement appeared in a late nineteenth century Postal Guide, which was distributed to local residents, compliments of the employees of the Sandusky Post Office. 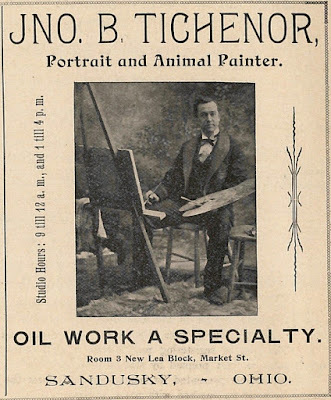 Although John B. Tichenor was a native of Sandusky County, Ohio, for a brief time he had an art studio in the Lea Block, on Market Street in Sandusky, around 1895 or 1896. The hours of the art studio in Room 3 of the “new” Lea Block were 9 a.m. to Noon and 1 to 4 p.m.
Walter B. Rideout wrote in his book Sherwood Anderson: A Writer in America (University of Wisconsin Press, 2006) that Karl Anderson, the brother of author Sherwood Anderson, received painting lessons from Mr. Tichenor, when they both resided in Clyde, Ohio. In an article in the Sandusky Register of September 11, 1970, staff writer Ron Hall wrote an article about Sherwood Anderson, and other former residents of Clyde, Ohio. 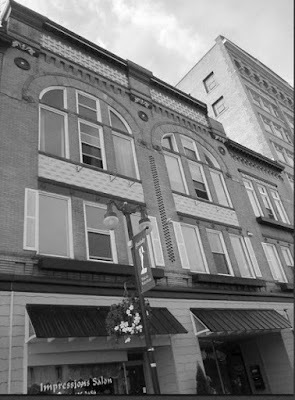 Hall interviewed local historian Thaddeus Hurd, who stated that at one time there was a group of artists in the community of Clyde, Ohio, and John B. Tichenor was probably the best-known of all the artists.